Posts: 30 Hi, I'm new to Troutnut.com. Recently, I've become enamored over North Country flies and the whole concept of wet fly fishing. My reading and tying take me to Stewart, Pritt, Leisingring & Hidy, and the contemporary UK writers, Mike Harding and Roger Fogg. The journey has been exciting. At some point after the harsh weather breaks, I'll attempt to fish the wet flies I've tied. I have mid-flex rods of 9' and less, but I believe I would like to find a 10' rod that is especially suited to wet fly fishing. One that was recommended is the 3 or 4-wt., 10' Hardy Sintrex, which at $720 would certainly damage my fly fishing budget. What would you suggest? Thank you in advance. Posts: 160 I have heard of using a long rod for wet fly fishing, but I cant really see where its a benefit over a 9ft'er. If your fishing wet flies in the traditional manner, down and across and letting them swing, what does a 10fter do that any other rod does not? The euro nymphing guys all use 10 and 11ft rods, to keep line and leader off the water, and to get closer without getting too close. Posts: 2871 Flyflinger, One of my fishing buddies is big into wet flies. He prefers a medium action 10 or 11 foot rod. One benefit I can imagine is that when you're swinging flies you can gain reach over more stream without having to move your feet. I have several 10' rods that I use for nymphing, and I've come to prefer a medium fast action, but I own a 3 wt. Grey's Streamflex, not fished much at all, that I'd let go for considerably less than that Hardy rod. It's a medium action. Let me know if you're interested. Posts: 2468 Back in the infancy of fly fishing in the US, and before the advent of the dry fly, everyone who fished was pretty much a wet fly man. I'd have to do some research to prove my point but I'd bet that all those guys who fished a brace of wet flies was using a cane rod of between 8 1/2' and 9' and they caught tons of trout. As Catskill John mentions what is the advantage of a 10' or 11' rod? You typically don't need to mend (I bet back in the 1930's they had no idea what "mend" even meant) when you are casting wet flies. You throw perpendicular to the current, let the flies swing and drift, in a drag free manner, until they get below you and then you impart a hand twist retrieve until you bring the flies close enough to make your next cast. Posts: 2871 There are many ways of fishing wet flies beyond the perpendicular cast, swing, hand twist retrieve approach. Ask Davy Wotten or Sylvester Nemes, for example. I don't fish wets all that often, though I have caught fish on them, and use them from time to time. Yes, many have caught fish on rods of all lengths using wet flies, and I'm sure some prefer 7 foot rods for wet fly fishing, others 8 foot rods, others 9 foot rods, etc. But, as I said, my buddy John Dunn fishes wet flies very frequently. He researches different methods and has other fishing buddies who he shares ideas with, one of which is a guide who specializes in wets. I'm not one to tell John what rod is best for his preferences. He likes a long rod for wets; I believe his favorite is a Grey's 11 foot 4 weight. And he uses many different casts, mends, and other approaches that the old timers did not use. Some things seem to have have changed since the 1930's. Thanks, Flyflinger, to the references to Harding and Fogg. I wasn't familiar with them, but an looking into their books. Posts: 30 Interesting responses. When I read a UK author about tackle for soft hackle flies, even a contemporary author like Roger Fogg, the longer rod is invariably recommended. 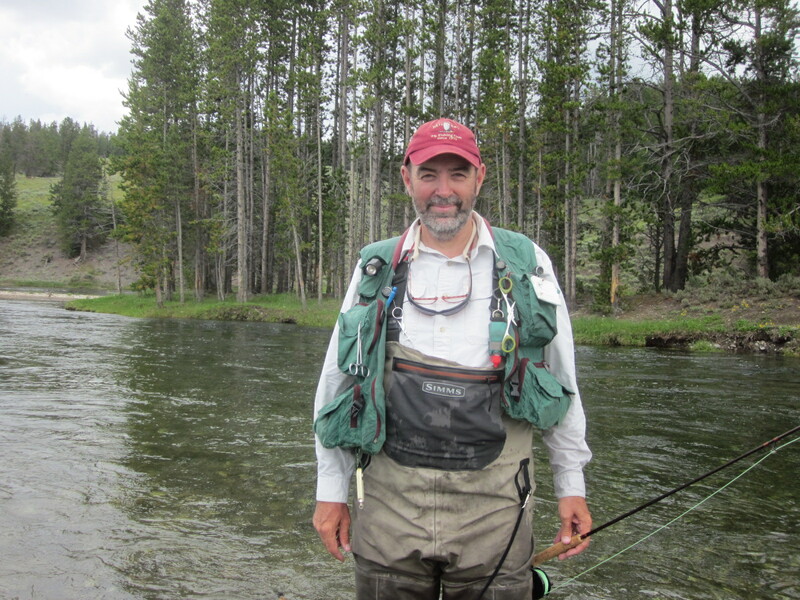 Fishing a wet fly upstream and keeping as much line as possible out of the water suggests a longer rod. Apparently, casts of two or more flies are made at fairly short distances, say 25' - 30', helps avoid a tangle of flies. Oh, I've used a nymph to cast slightly upstream always expecting a strike on the swing. But I really don't know wet fly fishing, which should change somewhat after I have some quality instruction and lots of practice. I am even unsure how to properly rig multiple flies and the order they should be rigged. Martinlf, thanks for your offer, but let me think about it. I'll PM you later. I plan to attend the Lancaster show and see what David Allerbaugh recommends, since he is presenting the subject of wet fly tackle. He and John Shaner are the reasons I'm braving the weather and driving three hours or so to attend the show. There are many ways of fishing wet flies beyond the perpendicular cast, swing, hand twist retrieve approach. Yes, that may be the case but my comment was relative to the period when wet flies were the predominant method used to pursue trout in moving water. Posts: 2871 Sure, Flyflinger, no rush, no pressure; perhaps I should hang on to the rod and use it for wets myself. I haven't actively tried to sell it. I'm glad you mentioned wet fly fishing, as it's an approach I want to learn more about, but often don't think about first. My buddy John has showed me a lot, but I often start with what's familiar--dries or nymphs, and just don't think to fish wets. But I've seen John do very well, and from time to time wets have saved a fish, or even the day for me. I'll be reading Harding and Fogg in the near future. From what John has told me, Dave Allbaugh is a superb guide, who ties beautiful flies and who knows a great deal about fishing them. He has a very distinct style of rigging wet flies to make them stand away from the leader to avoid tangles. He certainly can make some good rod recommendations as well. Keep us posted on what you find out. Posts: 30 Martinlf, I'm glad you said what you did about Dave Allbaugh. I want to hire him for a day or two to learn of the techniques. 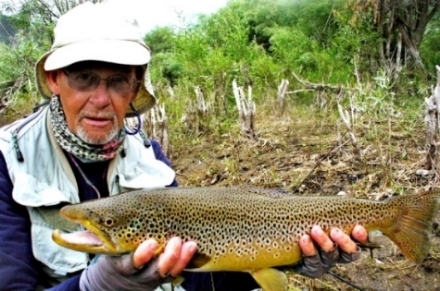 His website mentions an instructional guide trip, but that instruction seems more for a newbie of flyfishing. That is why I would like to see his presentation, meet him in person, and explain the specific instruction I need. I've flyfished and tied flies for many years for cold water and warm water species, but just dries, nymphs, and streamers. Wet flyfishing fascinates me in that it seems to target fish just under the meniscus of the water. Upstream fishing with wets is something I've never done. For example, the Leisingring Lift is something I've seen done successfully, but I just don't know how to effectively employ that technique. Leisingring must have brought it from Europe, since my reading tells me it has been used there for centuries. Books by Harding and Robb are excellent books for tying and fishing North Country flies. Harding explains more for tying. Robb explains more for wet fly fishing. Both provide substitutions for materials that are no longer available or difficult to obtain. I'm now grinding my through the various ties in as many sizes as I have materials to support the ties. I started with the Partridge & Yellow, Orange, and Green and moved on to the Snipe & Purple, Stewart's Black Spider, Barm Dun, Sandy Moor Game, Grouse & Green, Peacock & Grouse, Yorkshire Blue Upright, Water Hen Bloa, Oak Fly, and Williams's Favorite to name a few. The flies are not complicated, but the tying is quite precise. It has opened a whole new world of tying for me with the understanding of silk thread, light and dark cobbler's wax, the nature of game bird feathers, and the delicacy of tying. I also need to see John Shaner's presentation of North Country fly tying. 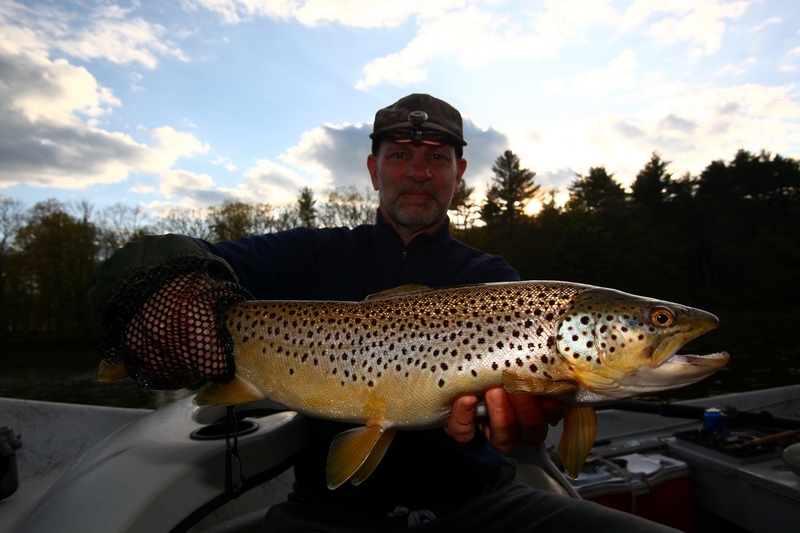 He has remarkable experience with tying North Country flies. Posts: 30 Wbranch, those techniques seem to be slowing gaining interest again. I know I am fascinated with them. If I have to all but abandon dry and nymph fishing for awhile to gain experience at wet flyfishing, I'll do it to gain proficiency in wet flyfishing. I imagine Leisingring startled people when he introduced his techniques in PA. He and Pete Hidy changed a lot of thinking. It seems PA is the Mecca of wet flyfishing. Flyflinger...Check out this link. Mark Libertone was a good friend of TroutNut and Jason provided a place here for his flies after he passed away a while back. He loved the softhackles. Posts: 30 Mark Libertone was someone I would have loved to chat with. His work shows immense talent. I'm glad his legacy is kept alive on this website. Thanks for sharing. Mark Libertone was someone I would have loved to chat with. His work shows immense talent. I'm glad his legacy is kept alive on this website. Thanks for sharing. You can see Mark's art training and attention to detail in his work. These are beautiful flies, but quite functional as well. Here's some more Mark on Han Weilenmann's fly tiers page. Although my wet fly fishing has been less than varied in approach -mostly down to down-and-across for steelhead and trout- I can certainly see the advantages to a long rod, simply stated as Louis did, in "reach". As in other types of ff, we are married to the current and position is critical. And... the origins of the Leisenring Lift could just as likely -or more so- come from the fish themselves. I know I discovered it before I ever read about it, with the general effectiveness of a lure rising to the surface above the fish. I think every nymph, wet fly, jig, spoon, crankbait,, etc. 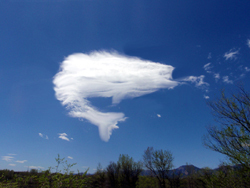 fisher discovers it and makes use of it in one form or another. Most nymph fishers catch their first, and for a time -only- trout beneath the rod tip on the lift.